Oh Boy ~ is that a mouthful to say.. 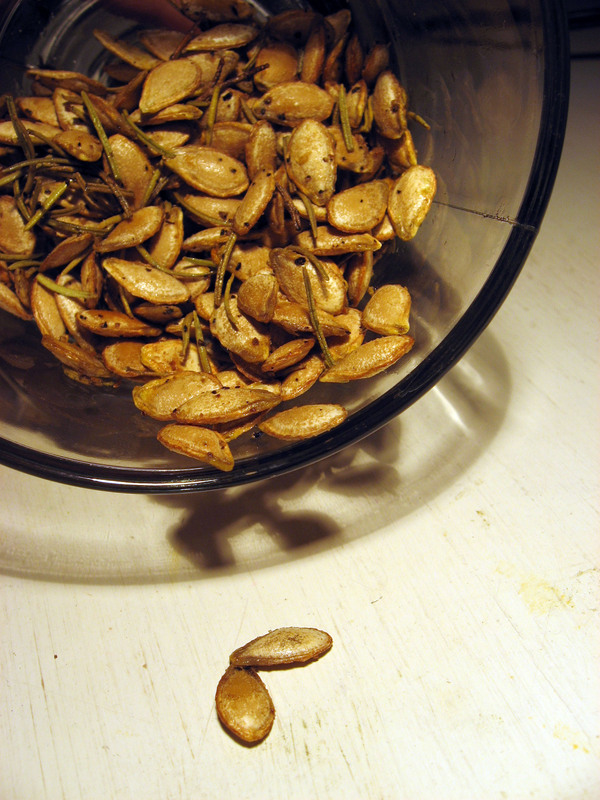 Unfortunately one squash does not yield a large portion of seeds, but enough to make a small batch with. 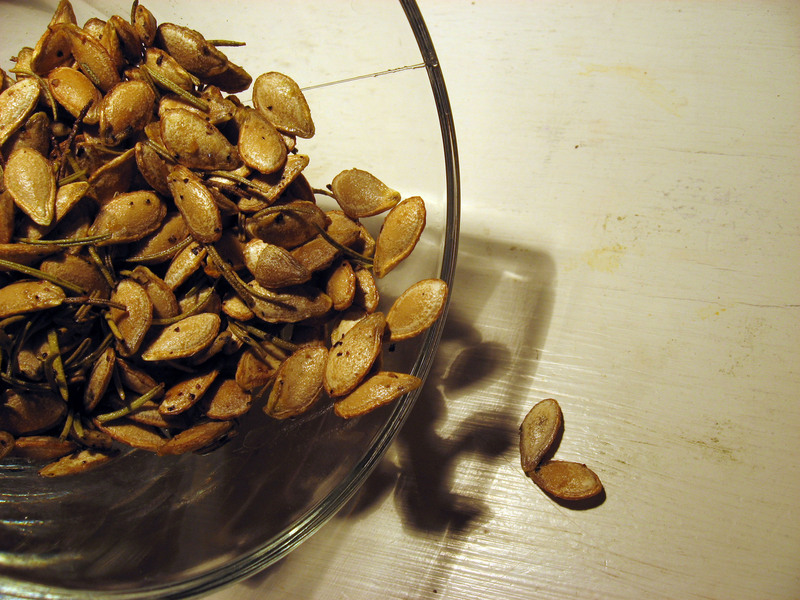 Once the seeds are rinsed, all squash flesh removed, and patted dry place them in a small bowl. Add oil of choice, I used grape seed again, about a tbsp until covered. Then add a sprinkling of salt and pepper and a healthy tbsp of rosemary (dried or fresh, whichever is on hand). Place on a small baking sheet lined with foil or oil and bake on 300 for 10-15 mins. 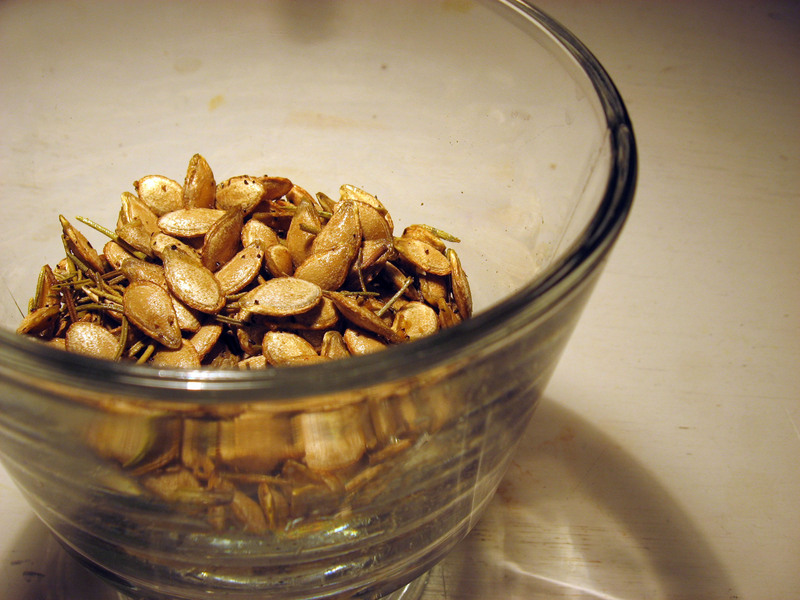 Times will differ but seeds will brown on the outside, and will begin to pop when they are ready to come out. Though I am sure when your house starts to smell like heaven you’ll know they are ready. This entry was tagged butternut squash, butternut squash seeds, pepper, roasted, roasted seeds, rosemary, rosemary seeds, salt, seeds, snack, squash, squash seeds. Bookmark the permalink. Great idea! Thanks! I tried it out and shared it (your site) on my blog too.